Our final appointment is in Germany, 2,000 kms away. Because we stayed in Tallinn for so long, that leaves us with only 5 days to get there, so we map out a no-mess-no-fuss direct route on the highways. Based on our previous experiences through Central Europe, we're planning to travel through Poland and then onto Germany because those countries don't have any tolls on their highways. We've both agreed that we're not going to stop to do any sightseeing, mainly because we don't have the time, but really we don't want to anymore. To us, it really feels like we're shutting this trip down and this last leg is just a formality that needs to get done and over with. 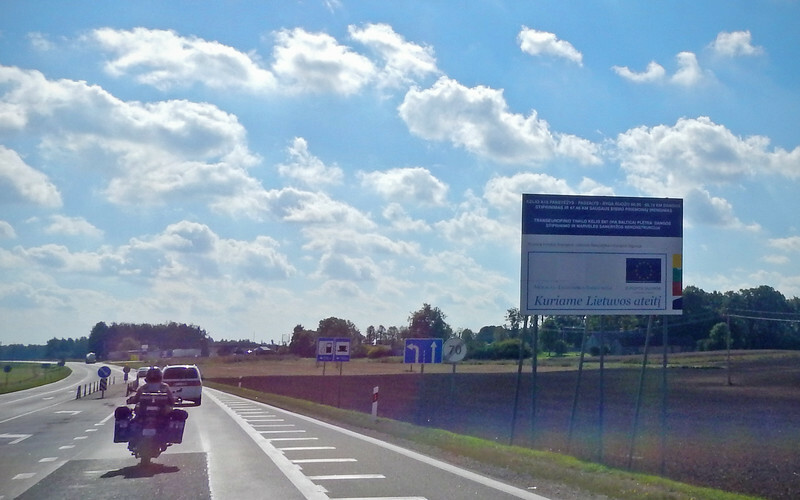 Entering Latvia. Hey isn't Doctor Doom from here? 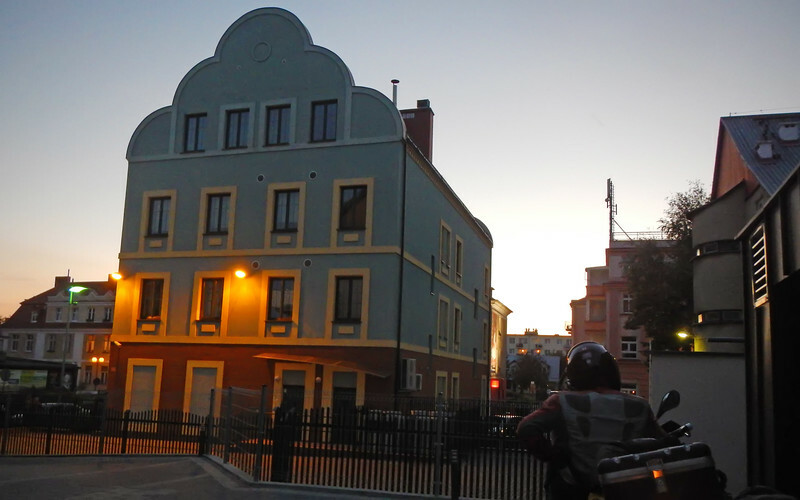 The first night of travel, we found a cheap place in Valmiera, just across the Latvian border. Much cheaper than the places in Riga. Our AirBnB host finds it curious that we aren't visiting the capital city. She offers to give us a list of things to do in her tiny town, but we're just passing through. 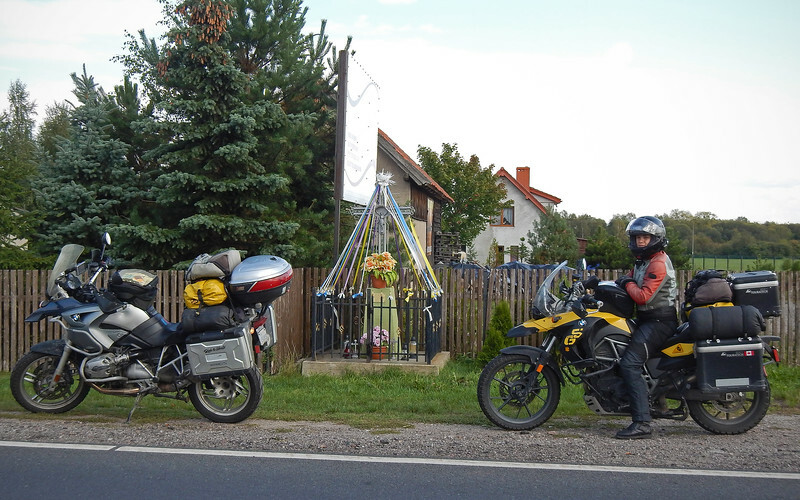 To her, it must be so strange to come all the way from Canada on motorcycles just to fly through Latvia, but we're just too tired to recount to her the entire story. 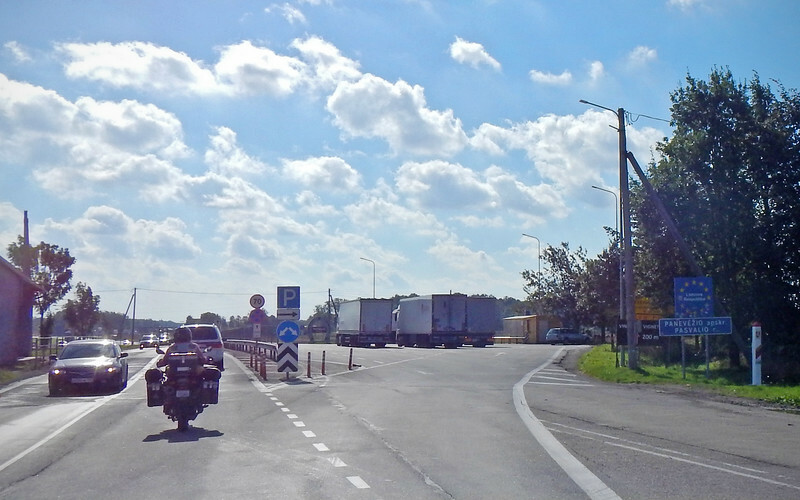 Entering Lithuania. Hey isn't Doctor Doom from here...? 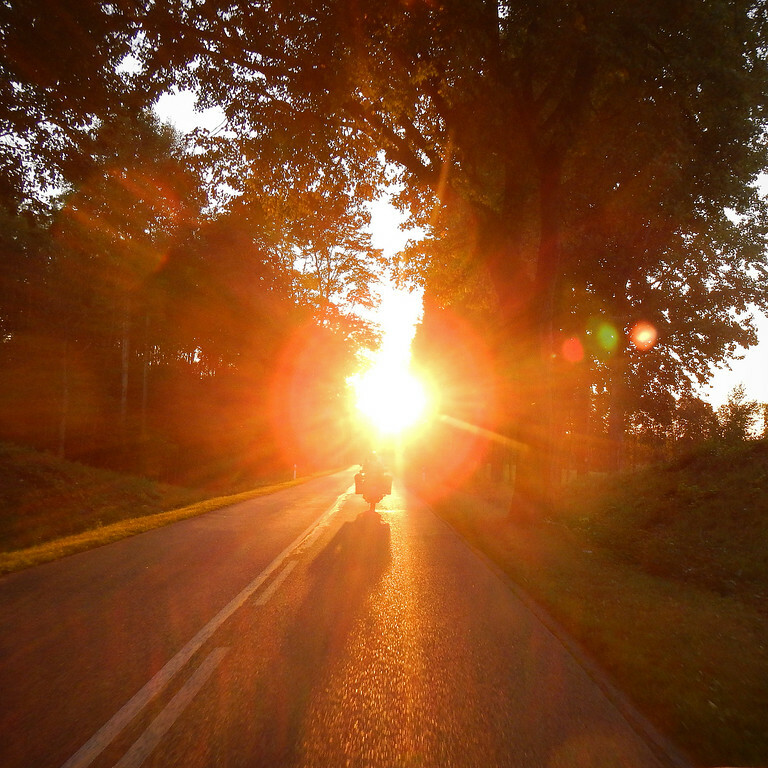 On our second day of travel, we crossed into Lithuania and sped through the entirety of the country into Poland. Baltic States fall like dominoes beneath our wheels and the scenery from the highway has been unchanging ever since we left Tallinn - flat and boring. At least the weather is perfect. This is the summer that we had missed when we were rushing through wet and frigid Arctic Norway. After just two days of riding superslab, Neda is fed up and done with all the highways. 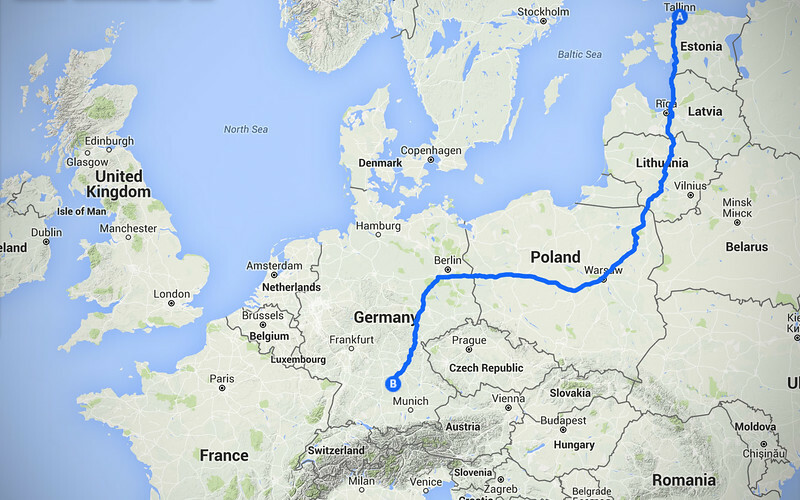 To remedy this, she's planned a little detour in north-eastern Poland, just across the Lithuanian border. 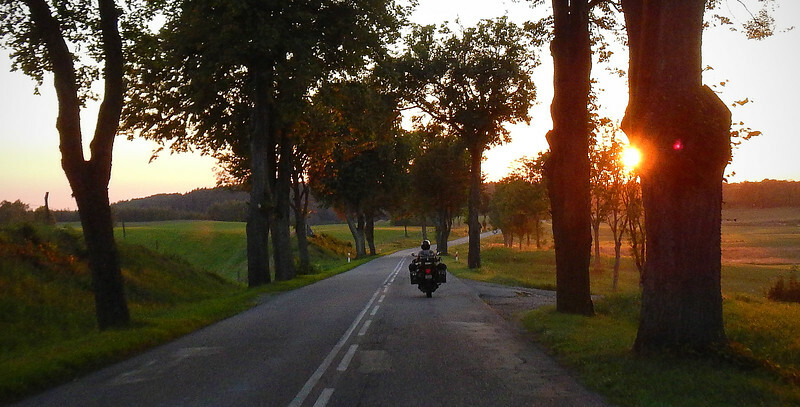 The area is called Masuria and she's got us onto a route that takes us through the Masurian Lake District, land of over 2,000 lakes. 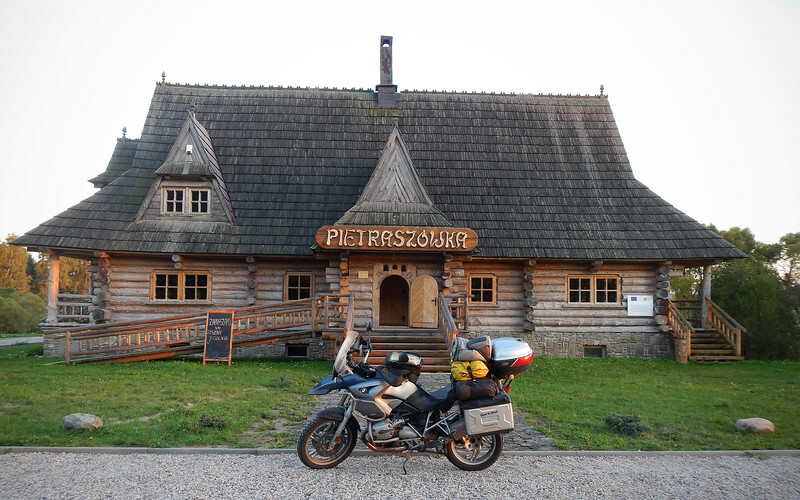 We reach this part of Poland in the evening, and already it's getting dark so early! 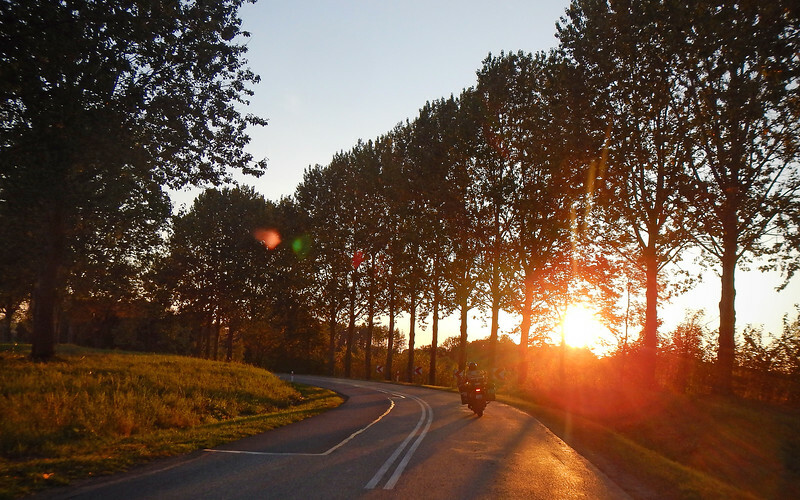 We step off the highway and tap down through the gears to take the scenic backroads at a more relaxed pace. The warm orange glow of a non-Arctic setting sun keeps us company the rest of the way. Whenever there are mountains or lakes, you're almost guaranteed curvy roads in the vicinity. I can't remember the last time we rode just for the pleasure of riding and not as a means to get somewhere. At least a couple of months, I think... The scenery was perfect, the light was amazing, it was a nice change from superslabbing and sightseeing. We should just do more of this. Masuria is one of the most popular vacation spots for both Polish people and Europeans. Lots of hiking, biking, boating, kayaking and camping are done here during the summer. 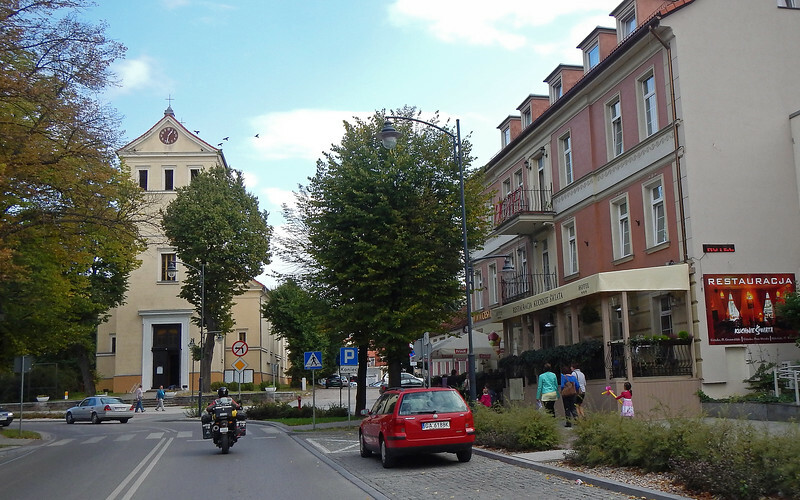 One of the largest towns in Masuria is Giżycko, and it's where we're headed to stay for the evening. A bit out of the ways of our cannonball run, but it's a little welcome break from the highway. I get a chance to finally do some research into Neda's growing mole. It started out as a small spot the size half a cm across, but in the last couple of months it has grown in height and diameter and now looks like an M&M is glued onto her back. Her bra strap has started sawing away at it and now it's bleeding a lot as well. The Google diagnosis is kind of worrying. Unfortunately, we've hit the weekend and all the clinics are closed till Monday. I hope it's nothing, but I'm very concerned. 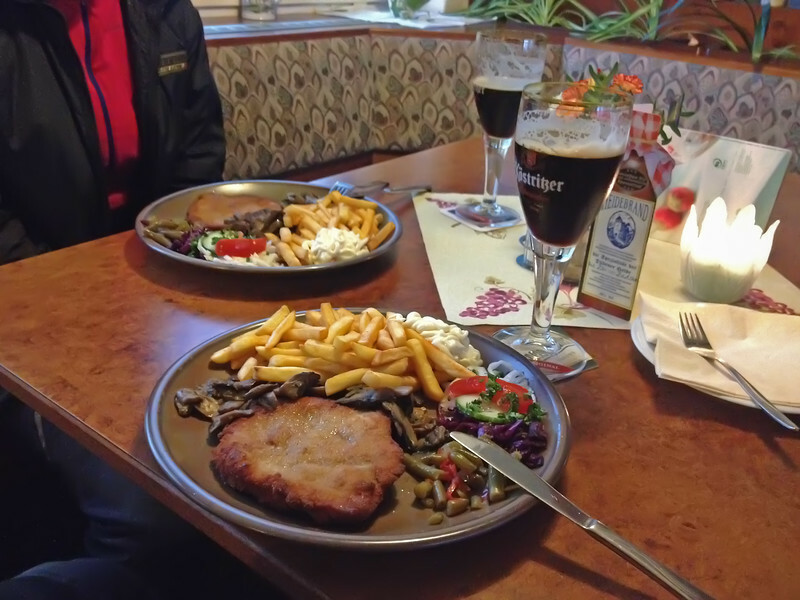 You know you're in Germany when the only thing available on the menu is schnitzel and dark beer! Yummy! 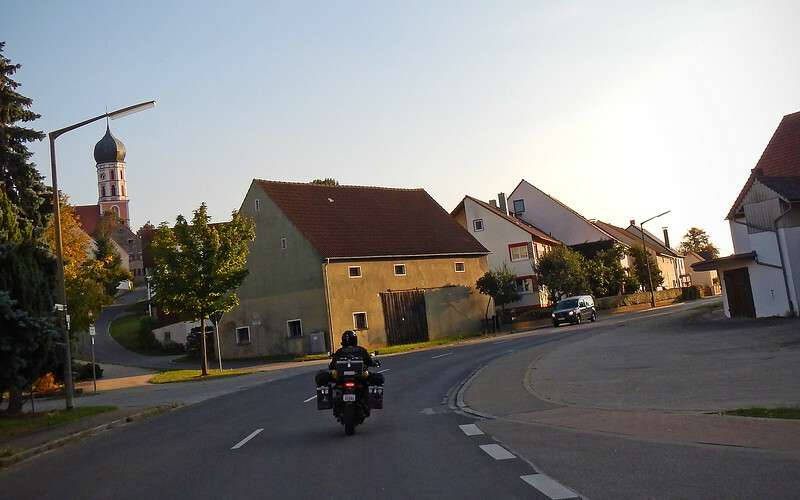 The next morning, it's another Autobahn-burner and we've now arrived in Baden-Württemberg where we'll be spending the next few days.